Every dancer has an emergency at some point! Forgot to trim those toenails for pointe class? Nothing to make a bun? Blisters? Loose strap? We've got you covered! 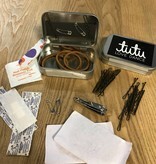 Our "Tutu To The Rescue" emergency kit has everything you need and fits perfectly in your dance bag. Comes in a reusable storage box complete with a magnetic strip to keep track of all the hairpins! 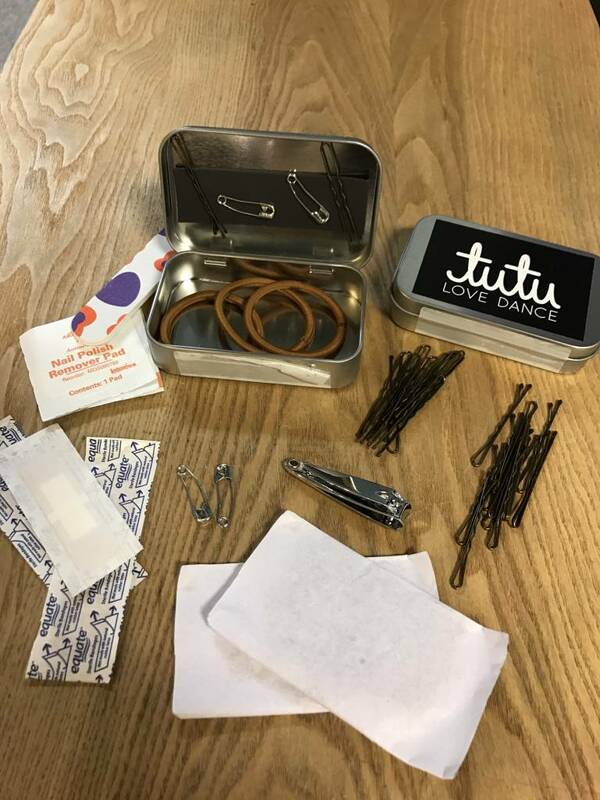 INCLUDES: 2 hairnets, 12 hairpins, 12 bobby pins, toe nail clippers, nail file, pony tail holders, bandaids, nail polish remover pads, safety pins.